Established : April, 1993 - to assist students to enter degree and language programs in English speaking nations. 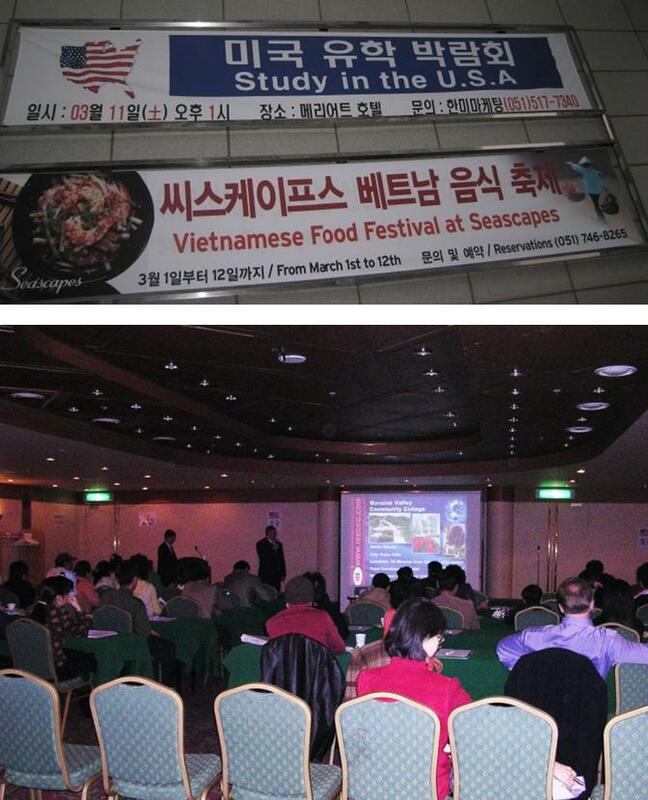 March, 1997 : Study in the U.S.A Fair with 12 American schools & colleges, in Busan. May, 1997 : Seminar with Schiller International Univ. FL, U.S.A.
October, 1997 : International Education Fair with 20 foreign schools. March 28, 1998 : Seminar with Schiller International Univ., FL, U.S.A., SWISS. September, 1998 : International Job & Education Fair with foreign schools & Companies at the Novotel Ambassador Busan in Busan. September, 1999 : International Education Fair with 20 foreign schools. Novotel Ambassador Busan, Busan, Korea. October, 1999 : Seminar(Study in U.S.A.) at Dong-A University, Busan, Korea. March, 2000 : Seminar at Novotel Ambassador Busan with 5 foreign schools & colleges. 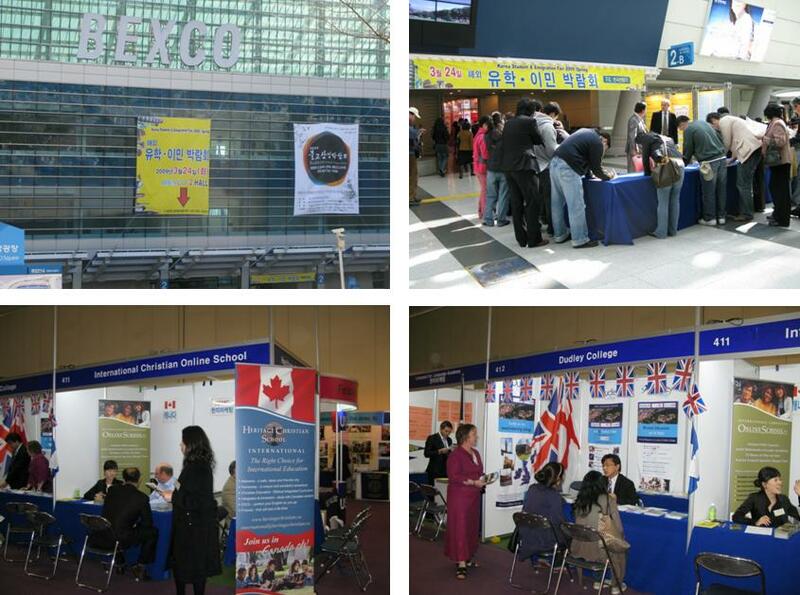 April, 2000 : Represent 2 British schools & colleges at British Fair in Busan. 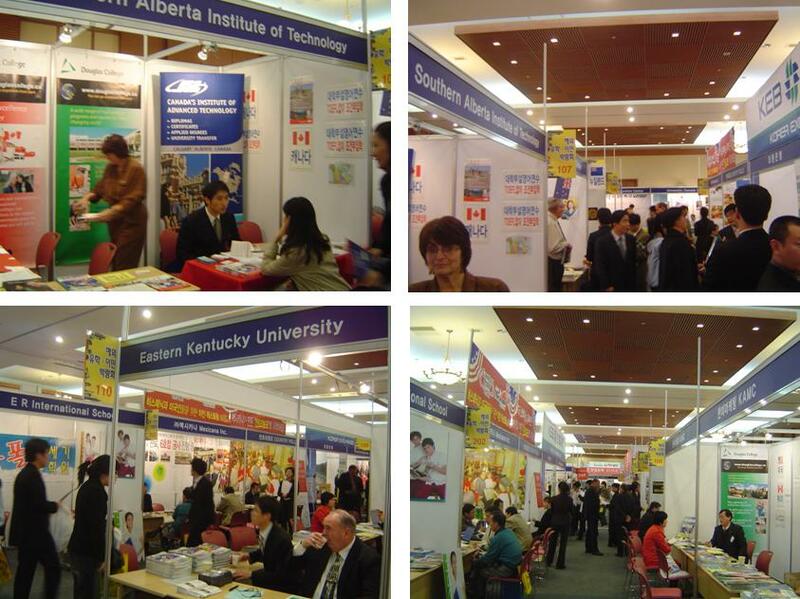 September, 2000 : International Fair with 35 foreign schools & colleges at Novotel Ambassador Busan. Seminar at Catholic University and Silla University. 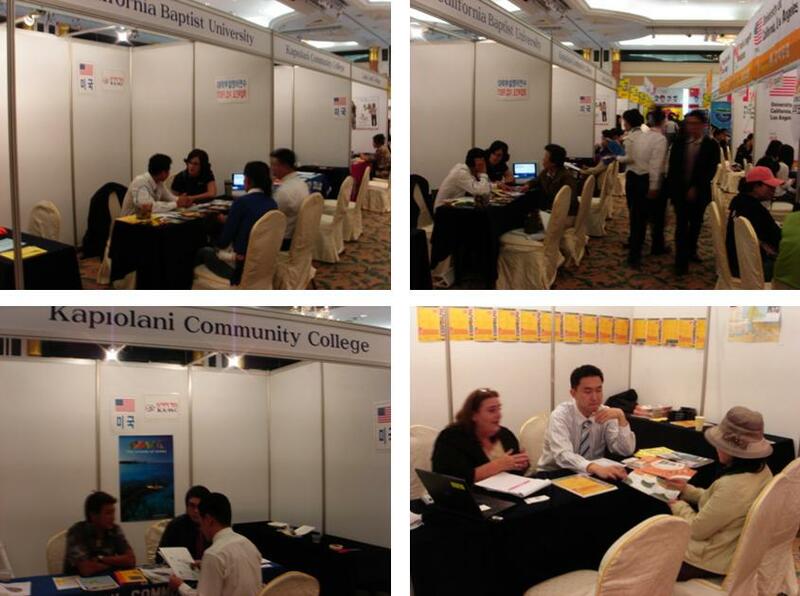 March 06, 2001 : Represented 23 foreign schools & colleges during STUDY USA & Education Fair at Busan Lotte Hotel. March 13, 2001 : Seminar with Winchendon School, Boston, USA at Novotel Ambassador Busan. March 15, 2001 : Seminar with Grier School, PA, USA at Novotel Ambassador Busan. March 20, 2001 : Seminar with Orme School, AZ, USA at Novotel Ambassador Busan. June 24, 2001 : Seminar with Lake Land College, IL, USA at Novotel Ambassador Busan. July 15, 2001 : Seminar with Hesston College, KS, USA at Novotel Ambassador Busan. July 24, 2001 : Seminar with Ottawa University, KS, USA at Novotel Ambassador Busan. 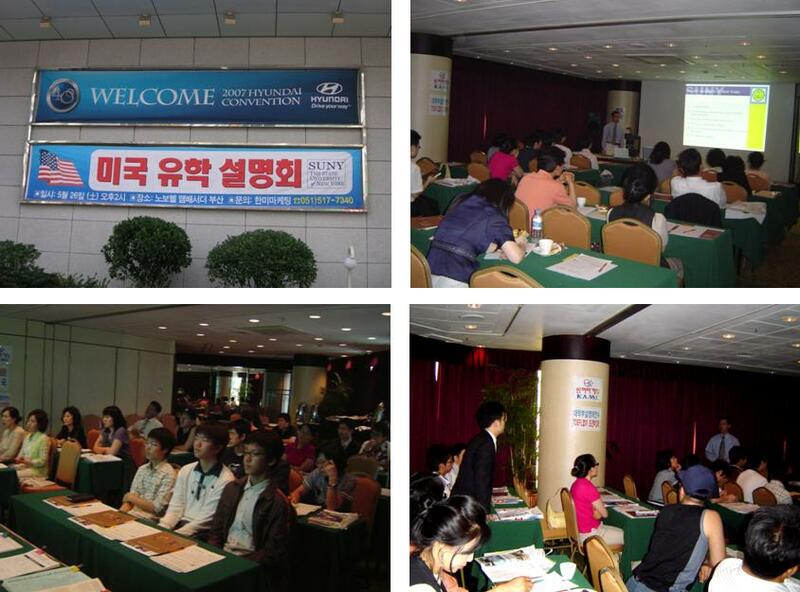 September 04, 2001 : International Fair with 38 foreign schools at Novotel Ambassador Busan. 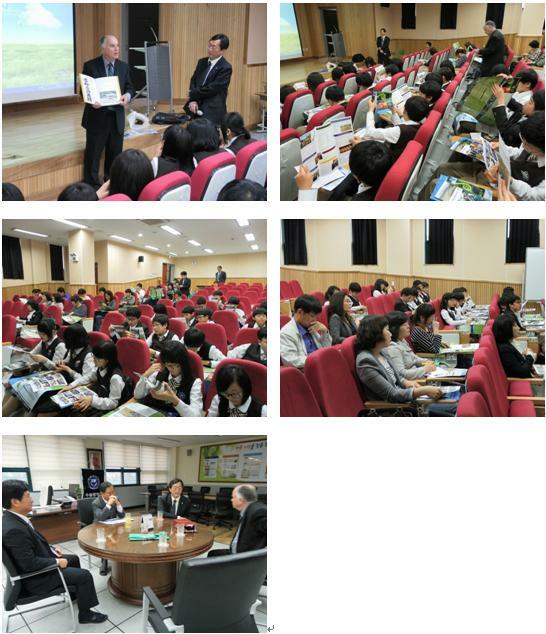 (Supported by New Zealand Embassy and British Counsel) Seminar at KyongSang College & DongSeo University. September 23, 2001 : Seminar with Creighton University, NE, USA at Novotel Ambassador Busan. October 26, 2001 : Seminar with California State University, LA, USA and California State Polytechnic University, Pomona, USA at Novotel Ambassador Busan. 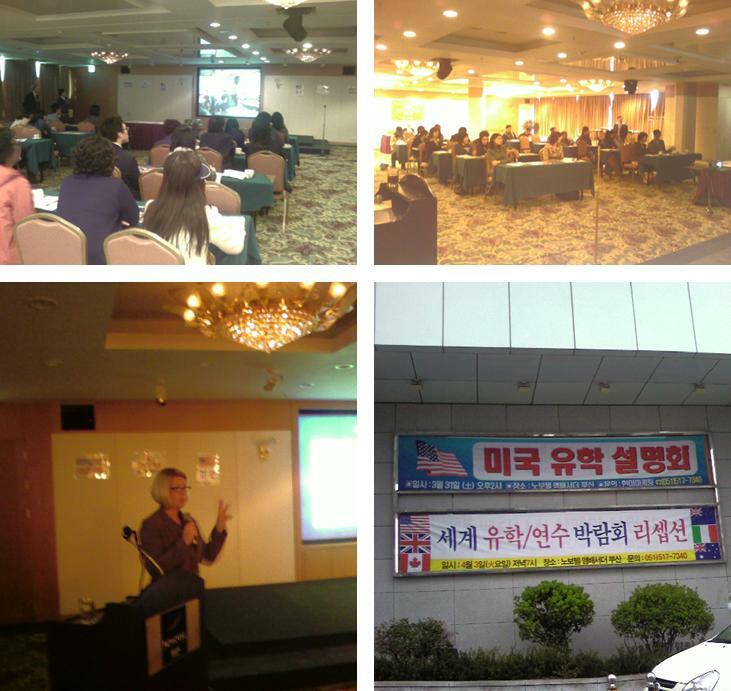 November 01, 2001 : Seminar with Kiwi English Academy and Nelson Marlborough Institute of Technology, New Zealand at Busan Paradise Hotel. November 10, 2001 : Seminar with Concordia University, OR, USA at Novotel Ambassador Busan. December 06, 2001 : Seminar with Abilene Christian University, TX, USA and Mount St. Clare College, IA, USA at Novotel Ambassador Busan. January 19, 2002 : Seminar with Coe College, IA, USA at Novotel Ambassador Busan. February 23, 2002 : Seminar with Ouachita Baptist University, AR, USA at Novotel Ambassador Busan. April 02, 2002 : Represented 20 foreign school during STUDY Abroad & Language Fair at Busan Lotte Hotel. 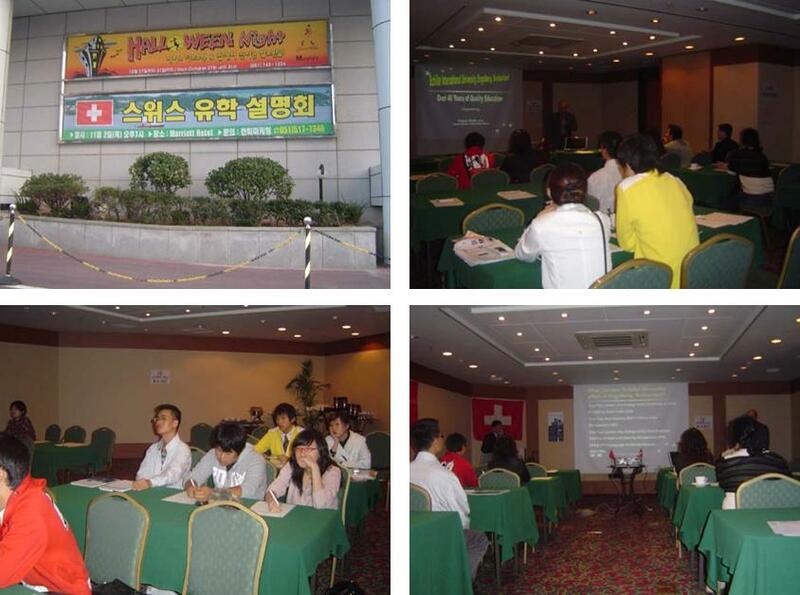 April 03, 2002 : Seminar at Novotel Ambassador Busan with 4 foreign schools & colleges. April 08, 2002 : Seminar with Whitireia Community Polytechnic, New Zealand at Novotel Ambassador Busan. May 11, 2002 : Seminar with Edmonds Community College, WA, USA at Novotel Ambassador Busan. June 24, 2002 : Seminar with University of Southern Queensland, Australia at Novotel Ambassador Busan. July 20, 2002 : Seminar with Lake Land College, IL, USA at Novotel Ambassador Busan. July 27, 2002 : Seminar with Thornton-Donovan School, NY, USA at Novotel Ambassador Busan. 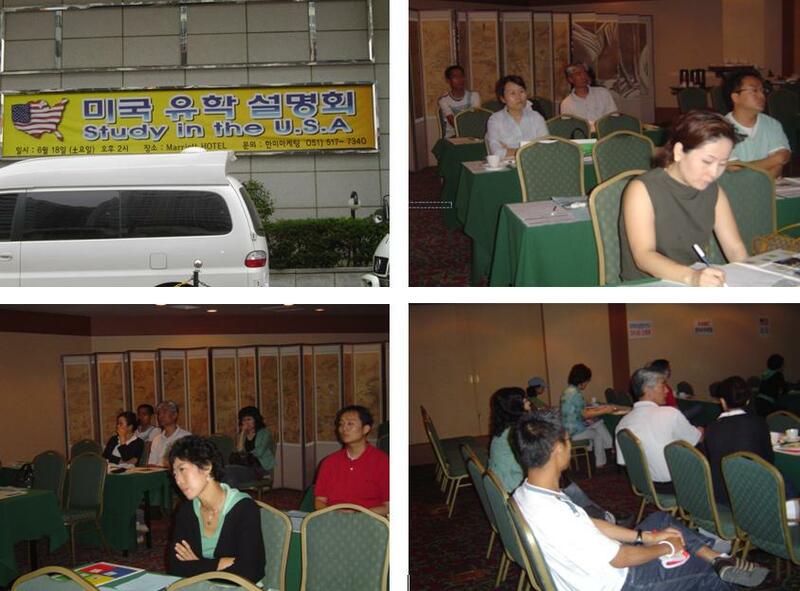 August 27, 2002 : International Fair with 20 foreign schools at Novotel Ambassador Busan. August 30, 2002 : Seminar with Edmonds Community College, WA, USA at Novotel Ambassador Busan. October 19, 2002 : Seminar with Lake Land College, IL, USA at Novotel Ambassador Busan. 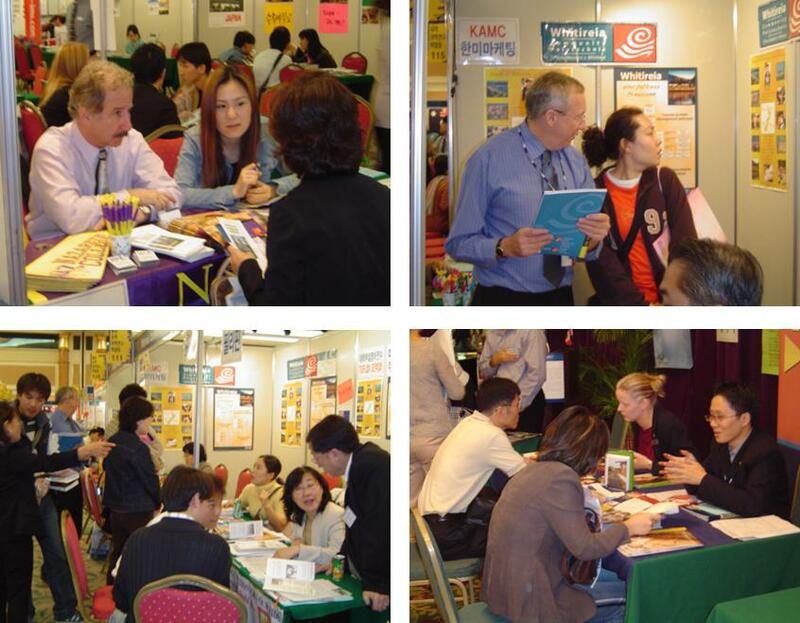 October 31, 2002 : Study in New Zealand Education Fair at Novotel Ambassador Busan. 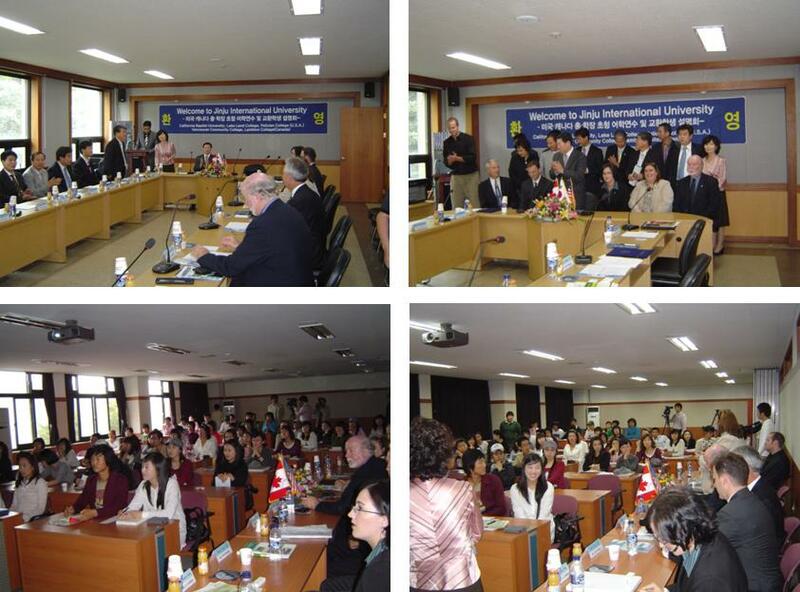 November 23, 2002 : Seminar with Providence College & Seminary, Canada at Novotel Ambassador Busan. 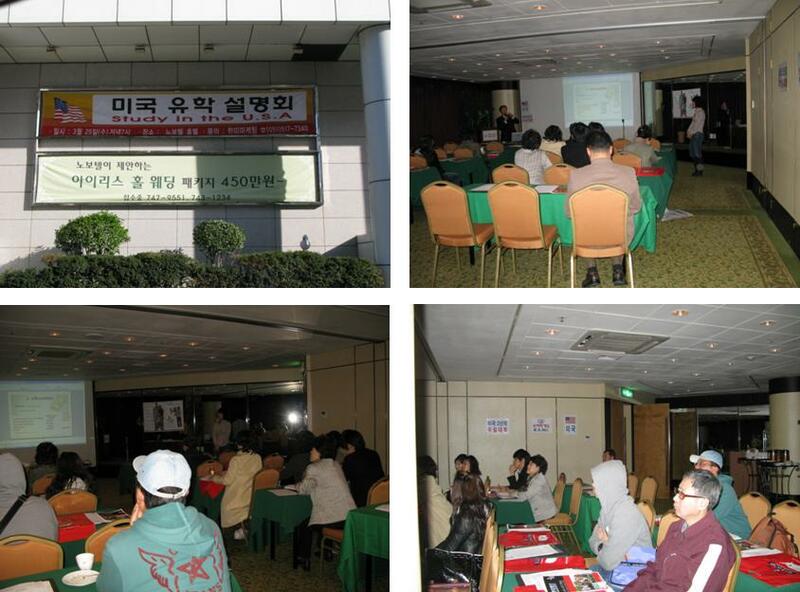 February 24, 2003 : Seminar with Saint Norbert College, USA at Busan Westin Chosun Hotel. March 05, 2003 : Seminar with USA Program, USA at Novotel Ambassador Busan. March 11, 2003 : Represented 12 foreign schools & colleges during Study Abroad & Language Fair at Busan Lotte Hotel. 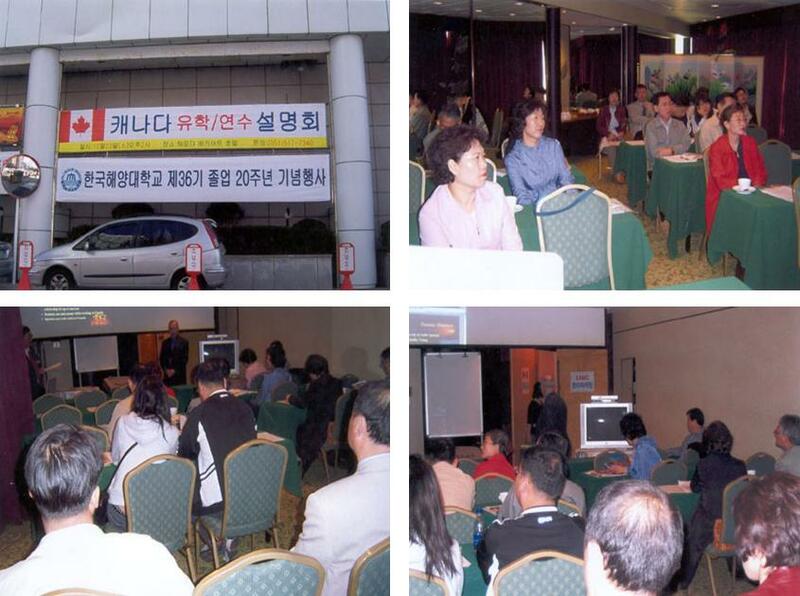 May 17, 2003 : Seminar at Busan Westin Chosun Hotel with Ouachita Baptist University, U.S.A.
June 28, 2003 : Seminar at Busan Westin Chosun Hotel with Thornton-Donovan School, NY. 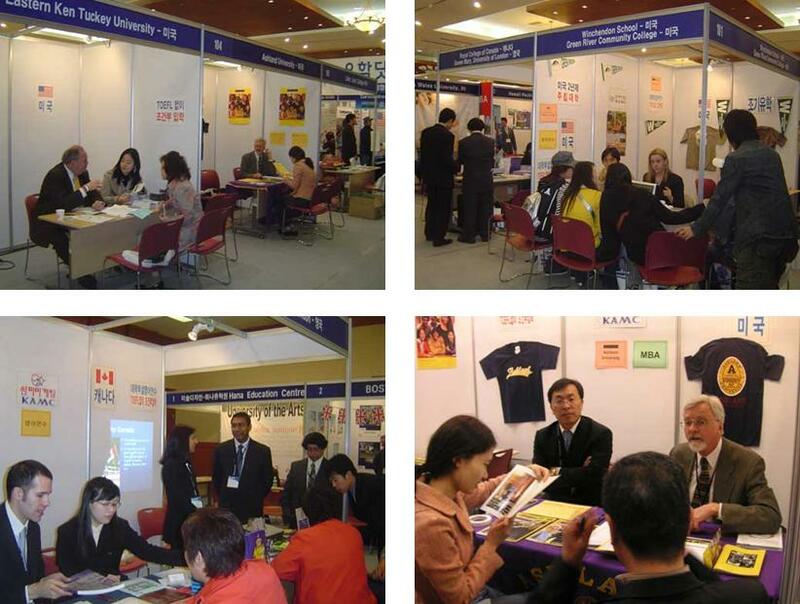 September 8, 2003 : International Education Fair with 40 Foreign Schools at Busan Westin Chosun Hotel. 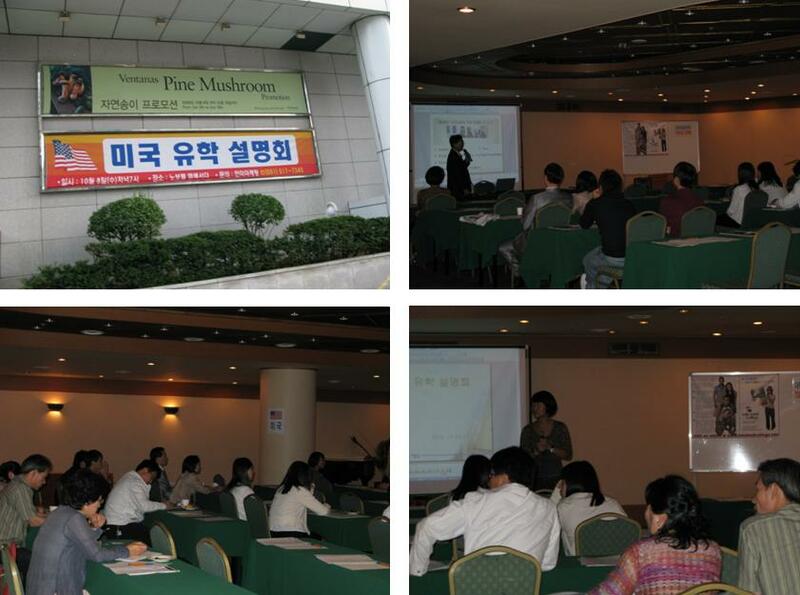 September 9, 2003 : Seminar at Busan Westin Chosun Hotel with Edmonds Community College, WA. 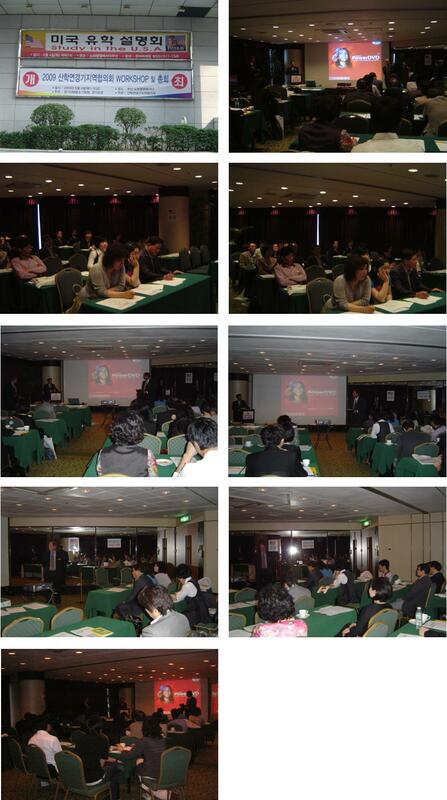 November 05, 2003 : Seminar at Busan Westin Chosun Hotel with Whitireia Polytechnic, NZ. 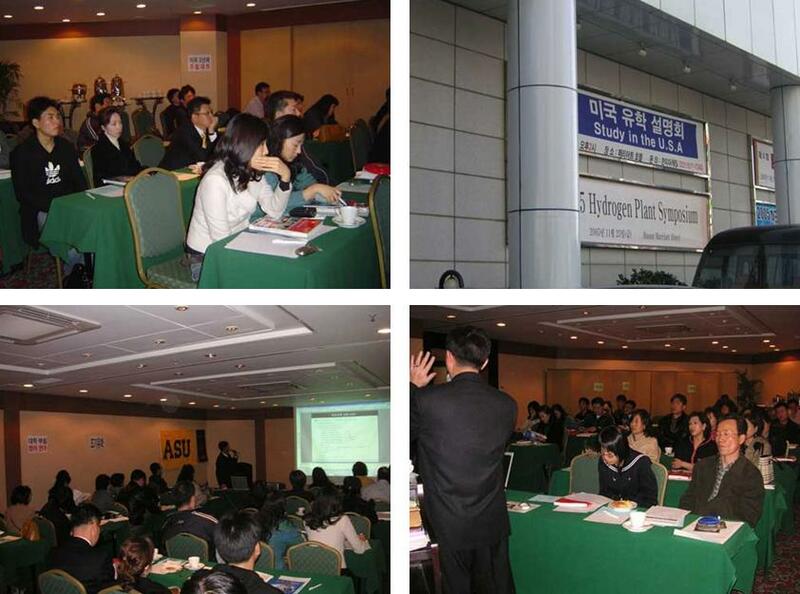 November 15, 2003 : Seminar at Novotel Ambassador Busan with Providence College & Seminary, CANADA. 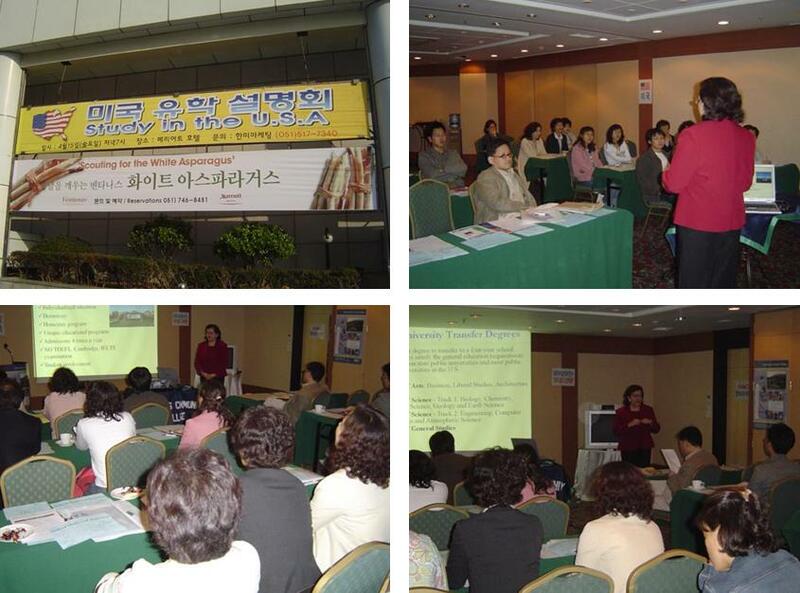 February 21, 2004 : Seminar at Novotel Ambassador Busan with Thornton-Donovan School, U.S.A.
March 06, 2004 : Seminar at Busan Westin Chosun Hotel with Lake Land College, U.S.A.
March 07, 2004 : Seminar at Seoul Westin Chosun Hotel with Lake Land College, U.S.A.
March 13, 2004 : Seminar at Novotel Ambassador Busan with Nazareth College of Rochester, U.S.A.
March 16, 2004 : Represented 30 foreign schools & colleges during Study Abroad Fair at Busan Lotte Hotel. March 29, 2004 : Seminar at Novotel Ambassador Busan with Kapiti College, New Zealand. April 10, 2004 : Seminar at Novotel Ambassador Busan with Edmonds Community College, U.S.A.
June 19, 2004 : Seminar at Novotel Ambassador Busan with Illinois Eastern Community Colleges, U.S.A.
September 18, 2004 : Seminar at Busan Westin Chosun Hotel with Lake Land College, U.S.A.
October 23, 2004 : Seminar at Novotel Ambassador Busan with Humber Institute of Technology, Canada. 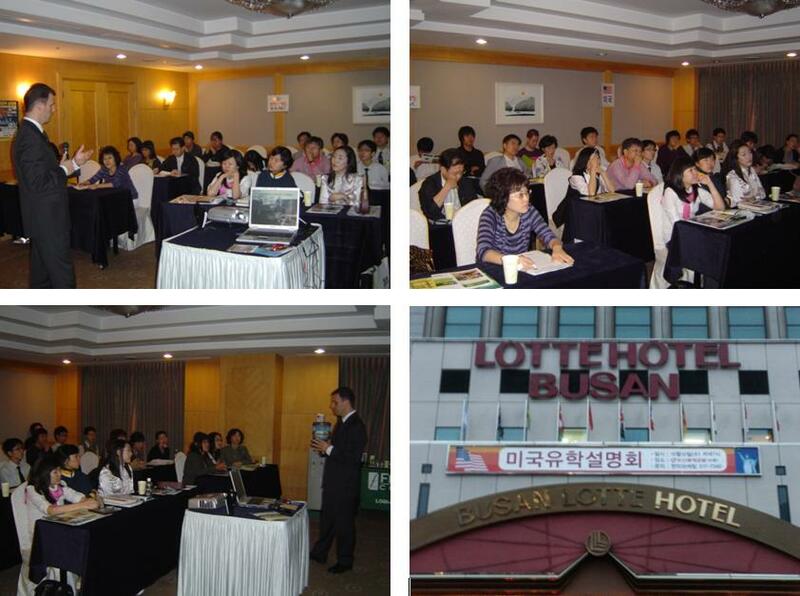 December 04, 2004 : Study U.S.A. seminar at Novotel Ambassador Busan with Bloomfield College, NJ, U.S.A.
March 26, 2005 : Seminar at Busan Westin Chosun Hotel with Lake Land College, U.S.A.
September 24, 2005 : Seminar at Novotel Ambassador Busan with Lake Land College, U.S.A.
October 13, 2005 : Seminar at Novotel Ambassador Busan with University of New Brunswick, St. Jones College, Canada. 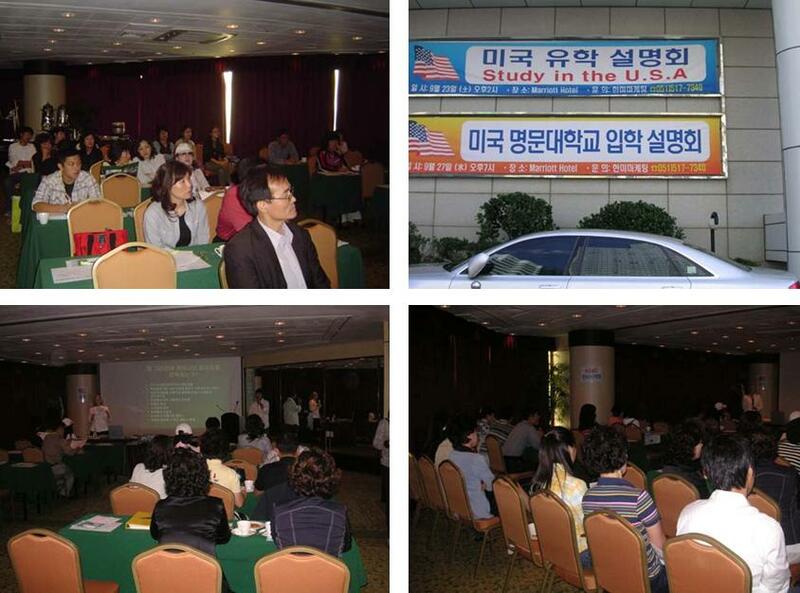 November 26, 2005 : Study in the U.S.A. seminar presentation at Novotel Ambassador Busan. 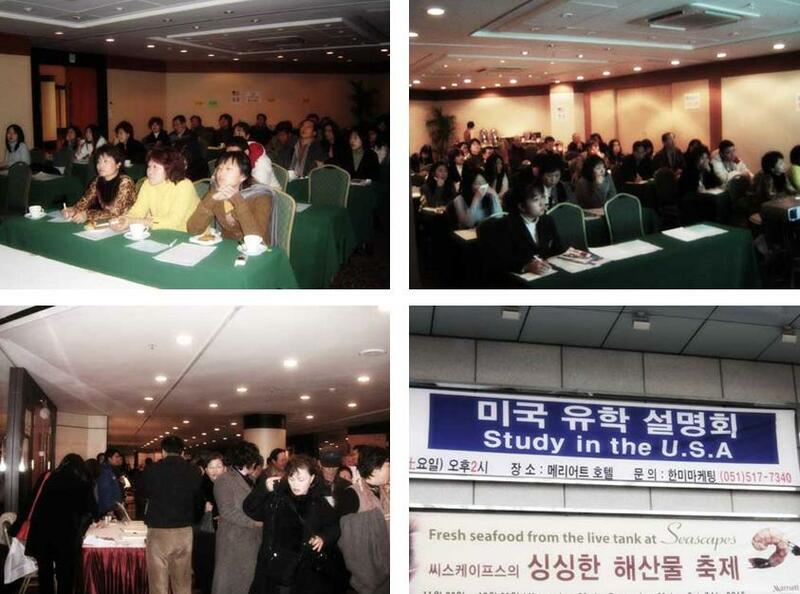 December 17, 2005 : Study in the U.S.A. seminar presentation at Novotel Ambassador Busan. March 11, 2006 : Study in the U.S.A. seminar presentation at Novotel Ambassador Busan with 5 colleges from U.S.A. (IEE). 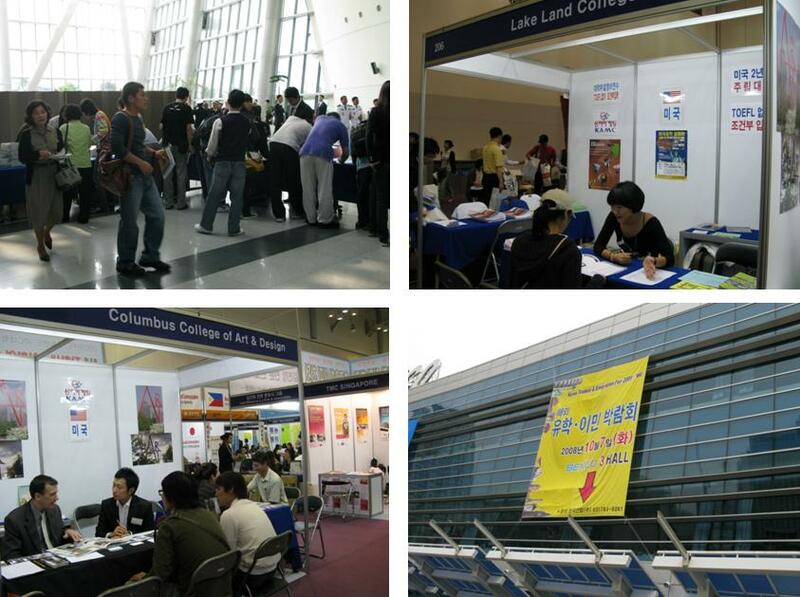 March 28, 2006 : Represented 30 foreign schools & Universities during Study Abroad & Language Fair at Busan BEXCO convention center. 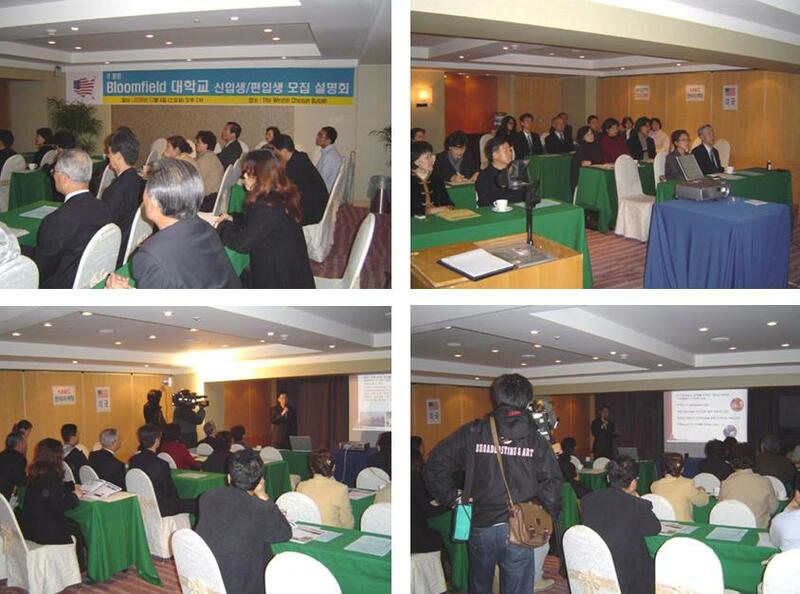 April 15, 2006 : Seminar at Novotel Ambassador Busan with Long Island Univ., NY & Edmonds Community College, WA. U.S.A.
September 23, 2006 : Seminar at Novotel Ambassador Busan with Lake Land College, IL & Green River Community College, WA. 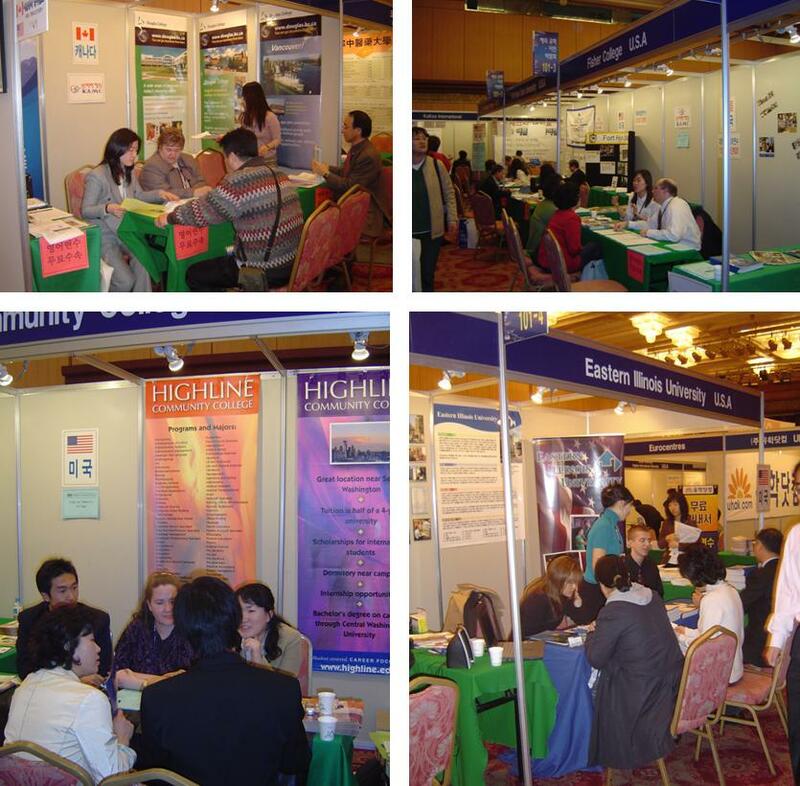 U.S.A.
September 26, 2006 : Represent 34 Foreign Schools & universities during Education Fair at the Haeundae Grand Hotel in Busan, Korea. September 26, 2006 : Organize Dinner reception with local college professors, high schools principals together with foreign school reps for the fair. At Novotel Ambassador Busan. 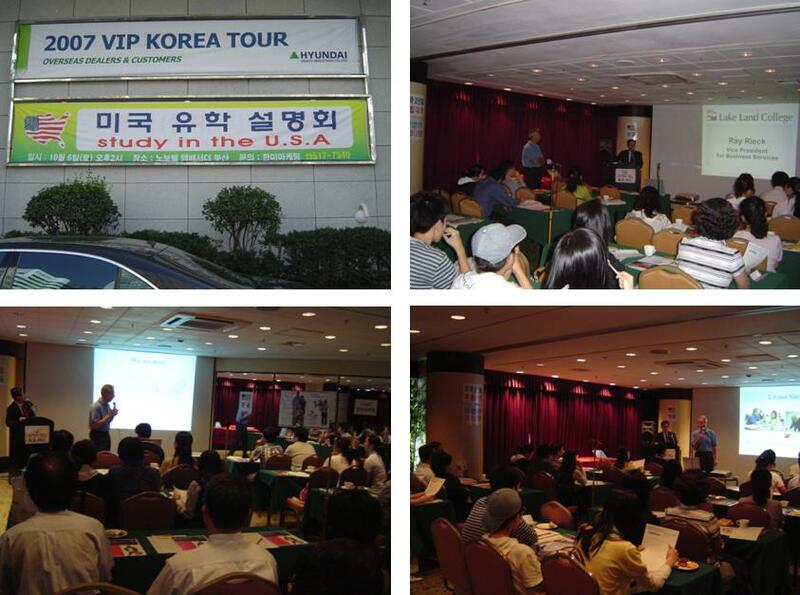 September 27, 2006 : Seminar at Novotel Ambassador Busan with Washington State University, WA, U.S.A.
October 21, 2006 : Seminar at Novotel Ambassador Busan with St. Peter's School & Melville High School in New Zealand. October 25, 2006 : Seminar at Busan Grand Hotel with Hasting & Prince Edward District School Board, Canada. 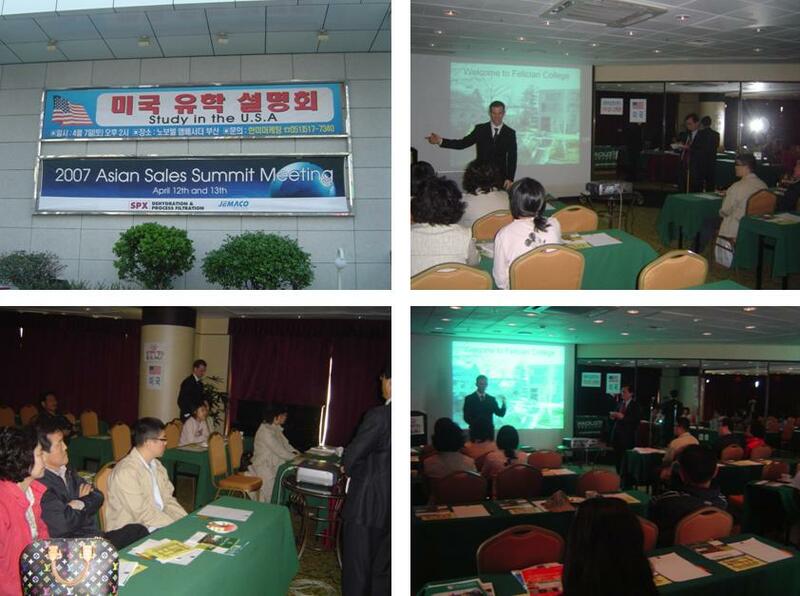 November 02, 2006 : Seminar at Novotel Ambassador Busan with Schiller International University, Swiss. March 03, 2007 : Seminar at Busan Novotel Ambassador Hotel with IEE ( 5 Colleges ) in U.S.A.
March 31, 2007 : Seminar at Busan Novotel Ambassador Hotel with Lake Land College, IL, U.S.A..
April 06, 2007 : Represent 29 Foreign Schools & universities during International Education Fair at the BEXCO in Busan, Korea. April 07, 2007 : Seminar at Busan Novotel Ambassador Hotel with Felician College, NJ, U.S.A.
May 26, 2007 : Seminar at Busan Novotel Ambassador Hotel with Herkimer County Community College (S.U.N.Y. ), NY, U.S.A.
October 06, 2007 : Seminar at Busan Novotel Ambassador Hotel with Lake Land College, IL, U.S.A.
October 08, 2007 : Sister Relationship agreement & seminar presentation at International University of Korea with 3 US colleges & 2 Canadian colleges. 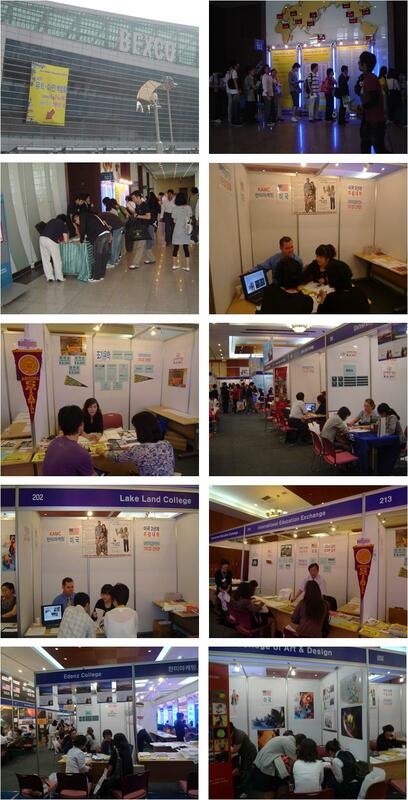 October 09, 2007 : Represent 30 Foreign Schools & universities during International Education Fair at the Lotte Hotel in Busan, Korea. October 10, 2007 : Seminar presentation at Lotte Hotel in Busan with Felician College, NJ, U.S.A.
March 12, 2008 : Seminar presentation at Busan International High School for parents and teachers. 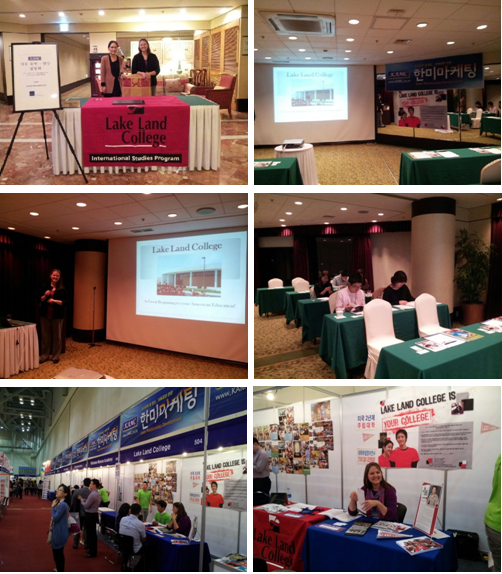 March 29, 2008 : Seminar presentation at Novotel Ambassador Hotel in Busan for Lake Land College, IL, & University of Michigan, U.S.A.
April 01, 2008 : Represent 32 Foreign Schools & universities during International Education Fair at the BEXCO in Busan, Korea. October 07, 2008 : Represent 28 Foreign Schools & universities during International Education Fair at the BEXCO in Busan, Korea. October 08, 2008 : Seminar presentation at Busan Novotel Ambassador Hotel for Lake Land College, IL. U.S.A.
March 21, 2009 : Seminar presentation at the Novotel Hotel with Winchendon School, MA. 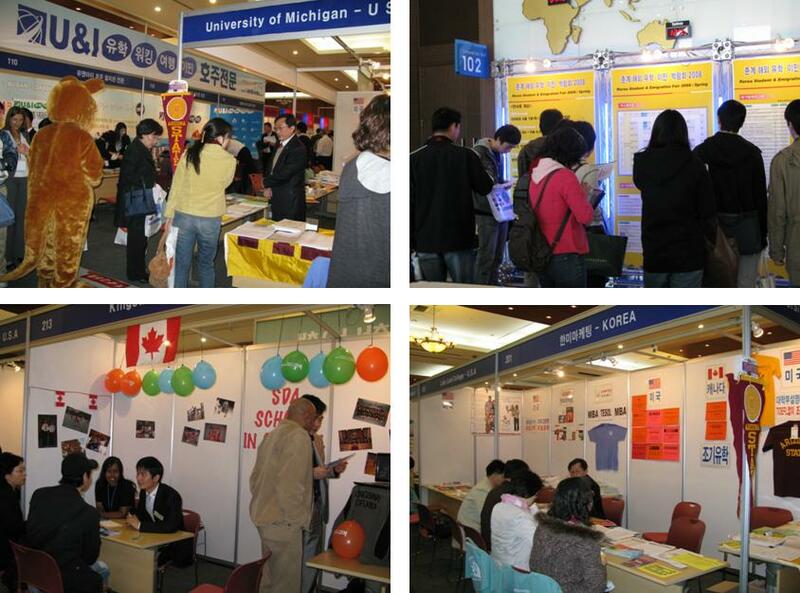 U.S.A.
March 24, 2009 : Represent 26 Foreign Schools & universities during International Education Fair at the BEXCO in Busan, Korea. March 25, 2009 : Seminar presentation at the Novotel Hotel in Busan with Lake Land College, IL, U.S.A.
June 04, 2009 : Seminar presentation at the Novotel Hotel in Busan with the University of Findlay, OH, U.S.A.
June 05, 2009 : Visit GyeongSang National University with representatives from the University of Findlay, OH, U.S.A.
September 24, 2009 : Represent 18 Foreign Schools & universities during International Education Fair at the BEXCO in Busan, Korea. September 26, 2009 : Seminar at the Novotel Hotel in Busan with Lake Land College, IL, U.S.A.
March 29, 2010 : Seminar presentation at the Busan International High School for students and parents who are interested in Study degree at universities in English speaking countries. 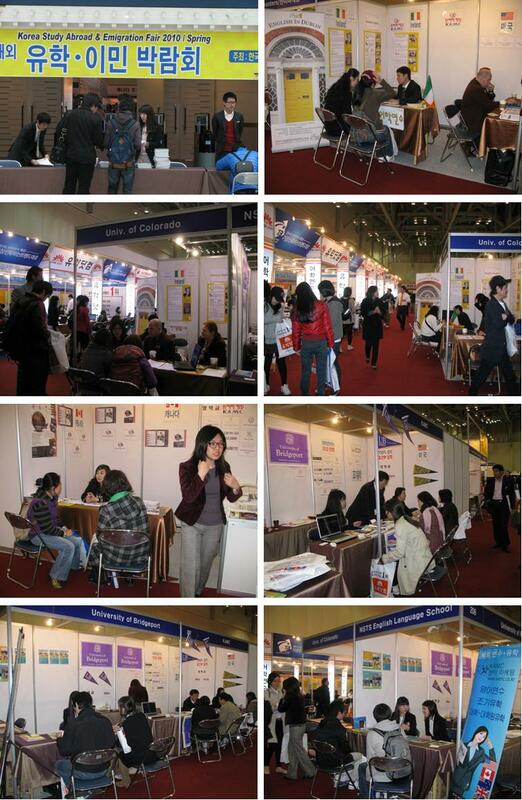 March 30, 2010 : Represent 25 Foreign Schools & universities during International Education Fair at the BEXCO in Busan, Korea. 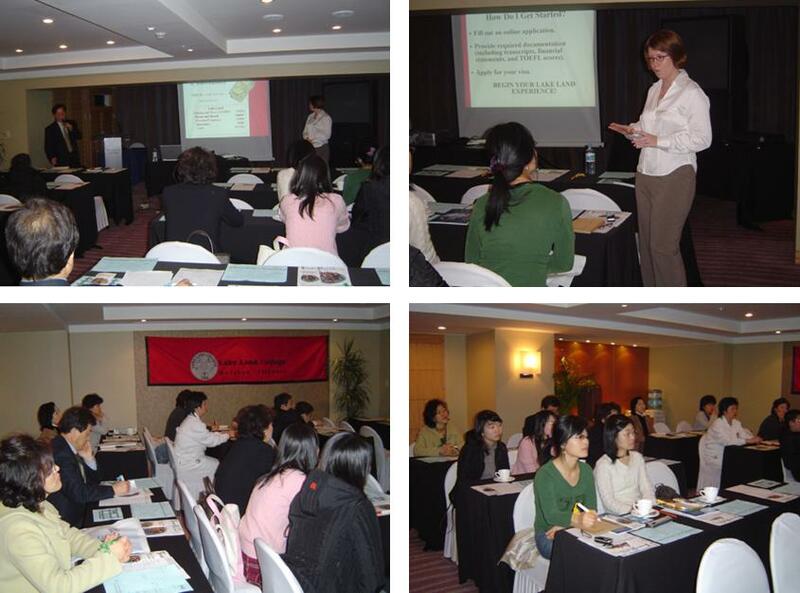 June 11, 2010 : Seminar at Novotel Ambassador Hotel in Busan with Gould Academy, ME, U.S.A.
Sept. 30, 2010 : Represent 29 Foreign Schools & universities during International Education Fair at the BEXCO in Busan, Korea. 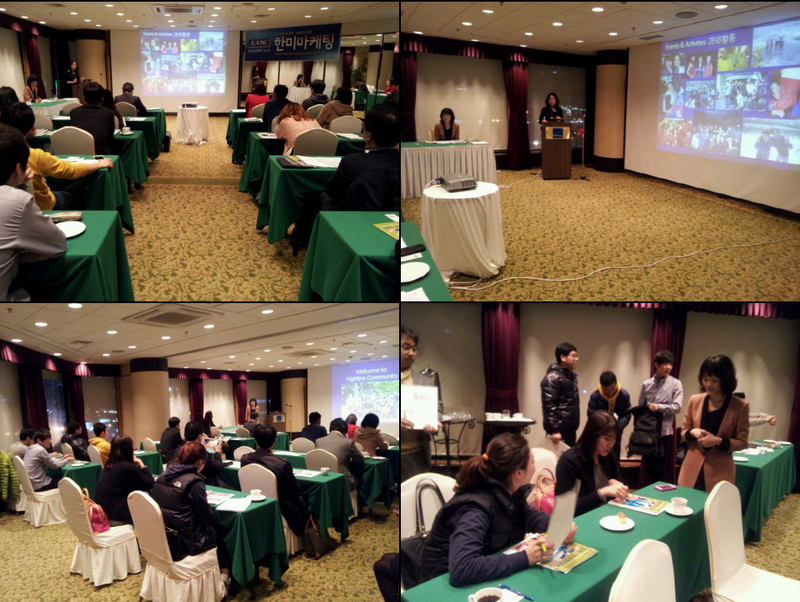 Oct. 01, 2010 : Seminar presentation at Novotel Ambassador Hotel in Busan with Lake Land College, IL. U.S.A.
Oct. 05, 2010 : Seminar presentation - Study Abroad & Vacation program - for parents and Students at SuWol Middle School, in GyongNam Province, Korea. 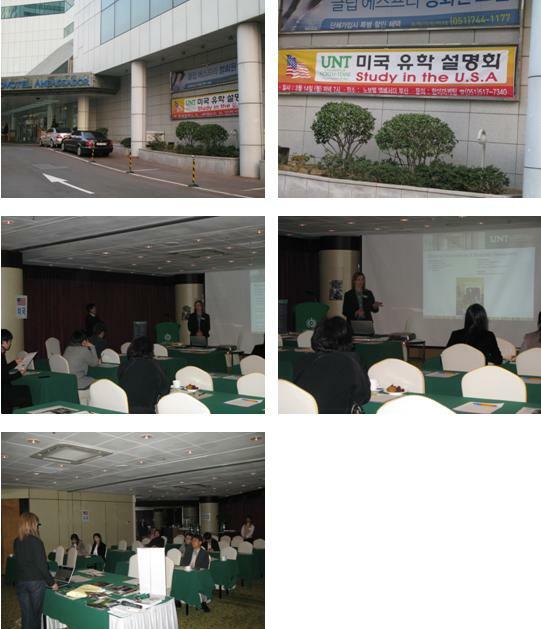 March 14, 2011 : Seminar presentation at Novotel Ambassador Hotel in Busan with the University of North Texas, TX, U.S.A.
March 24, 2011 : Represent 35 Foreign Schools & universities during International Education Fair at the BEXCO in Busan, Korea. March 25, 2011 : Seminar presentation at Novotel Ambassador Hotel in Busan With Thornton Donovan School, NY, U.S.A.
May 09, 2011 : Seminar presentation(English Camp during summer vacation at Wainuiomata High School, New Zealand) for students and parents at SuWol Middle School. July 24, 2011 : Group program at Wainuiomata High School, NZ with 40 students & teachers. 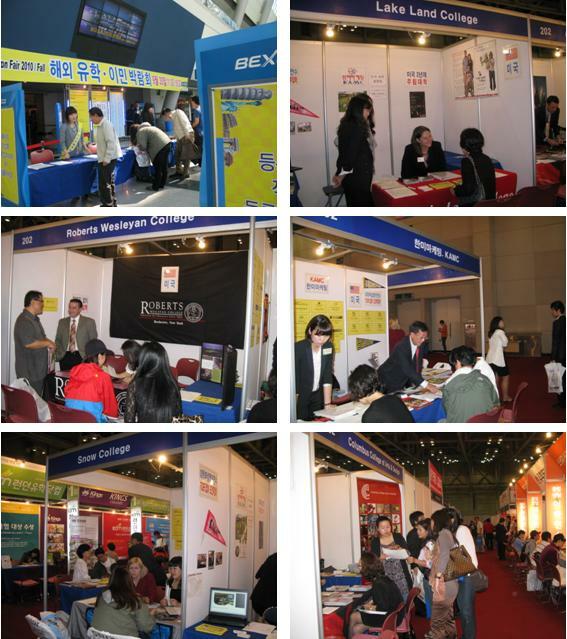 Sept. 20, 2011 : Represent 10 Foreign Schools & universities during Education Fair at the BEXCO in Busan, Korea. 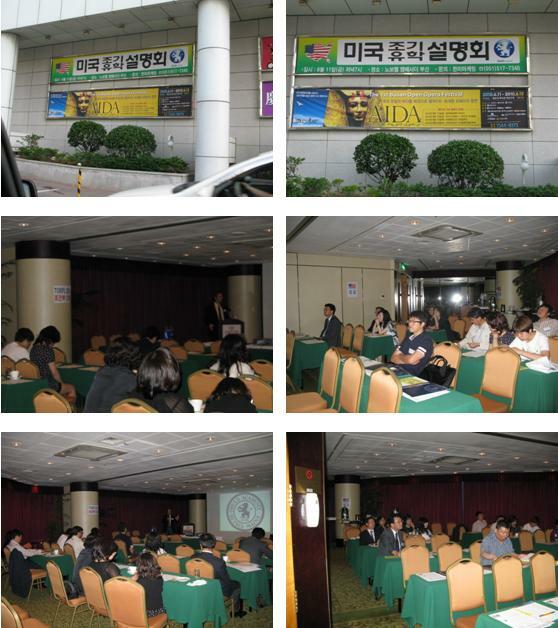 Sept. 21, 2011 : Seminar presentation at Novotel Ambassador Hotel in Busan with 6 Foreign Schools & universities. 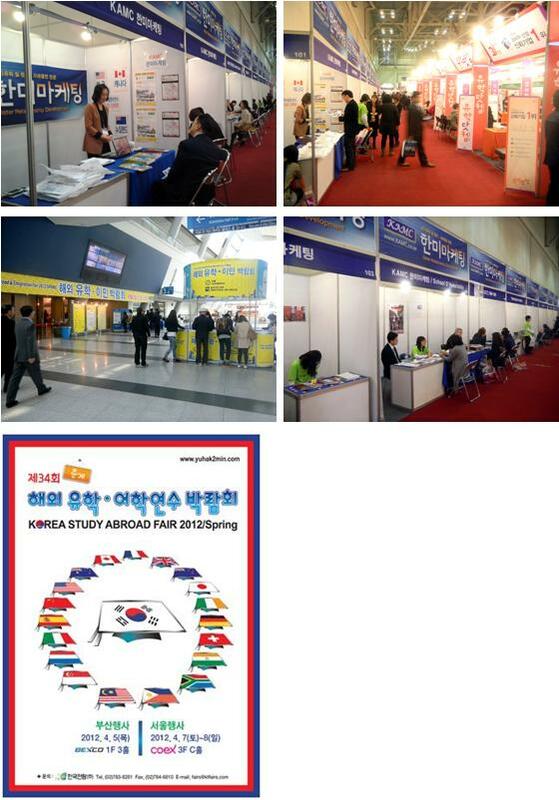 April 5, 2012 : Represent 18 Schools & Universities during Study Abroad Fair at the Bexco in Busan, Korea. 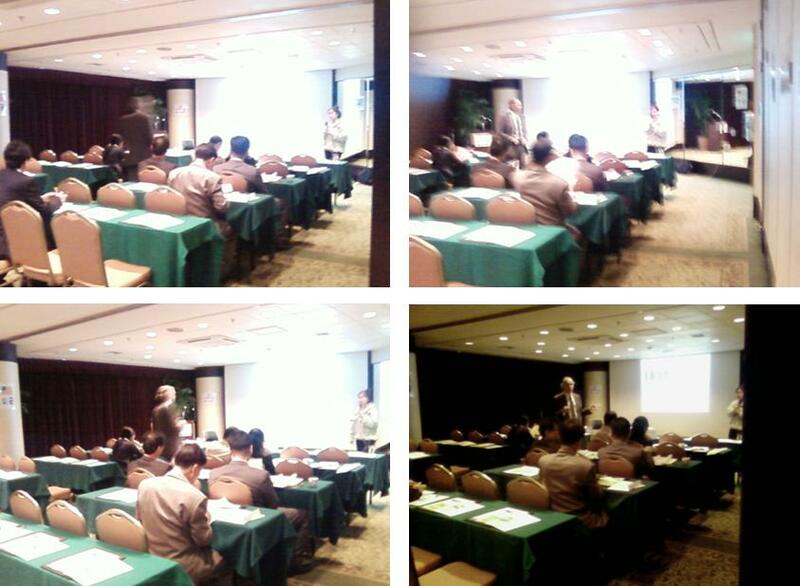 April 6, 2012 : Seminar presentation at Novotal Ambassador Hotel in Busan with Washington Academy, ME, USA. 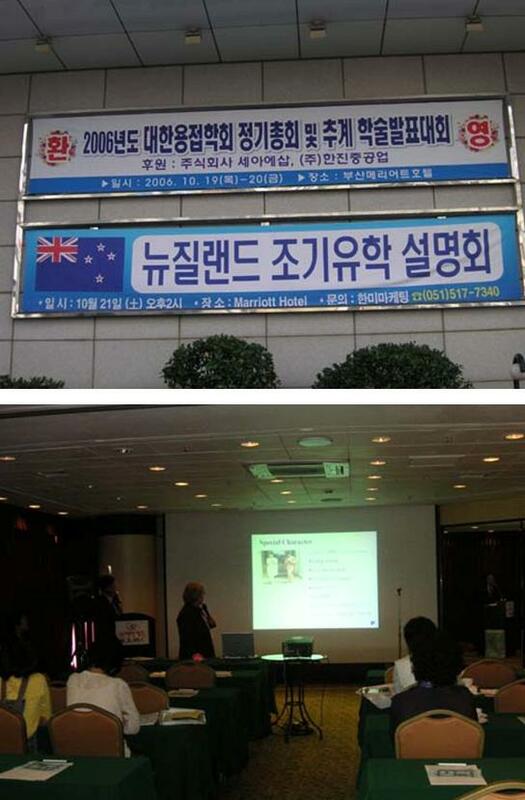 April 13, 2012 : Seminar presentation at Novotal Ambassador Hotel in Busan with Wainuiomata High School, New Zealand. 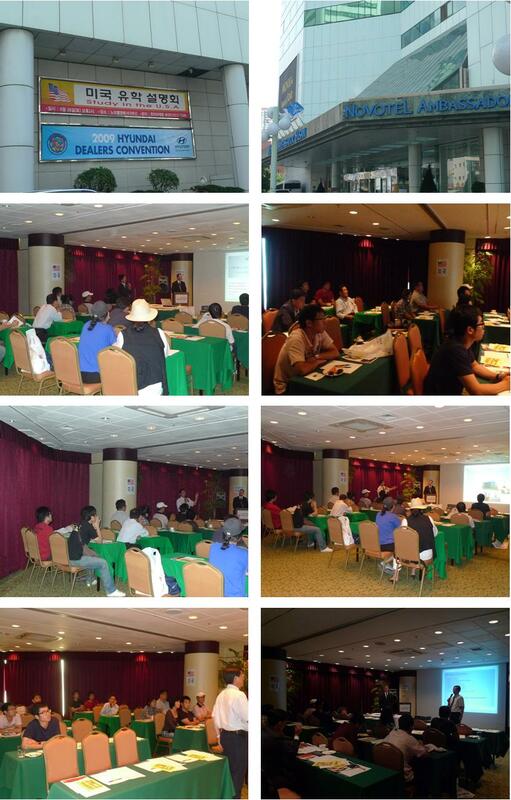 May 09, 2012 : Seminar presentation at Novotal Ambassador Hotel in Busan with lllinois Eastern Community College, IL, USA. 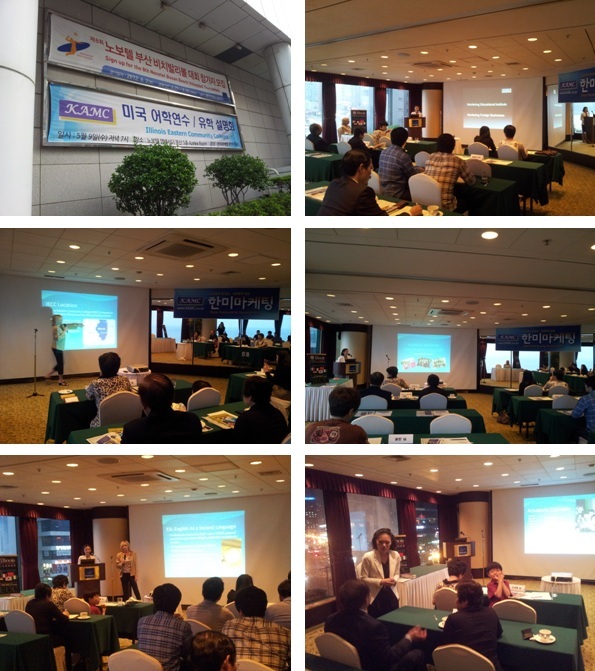 Oct. 10, 2012 : Seminar at the Novotel Hotel in Busan with Lake Land College, IL, U.S.A. The next issue is scheduled for February 2017. The University of Findlay, OH, USA. - Ms. Penny Gerdeman, Director of International Student Admissions. Lake Land College, IL, U.S.A. - Ms. Jennifer A. Copes, Director of International Admissions. Eastern Illinois University, IL U.S.A. - Mr. William Elliott, Director of International Admissions. Thornton Donovan School, NY, U.S.A. - Mr. Douglas Fleming, Headmaster.